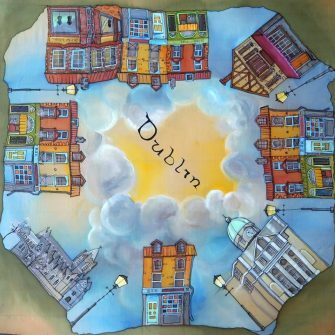 Yelena Kosikh, Fashion Designer and Artist has lived in Ireland since 2007. 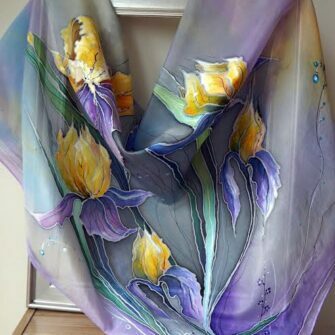 Originally from Armenia, she is an established Batik painter (Silk paintings), she also uses watercolors and textile painting techniques. 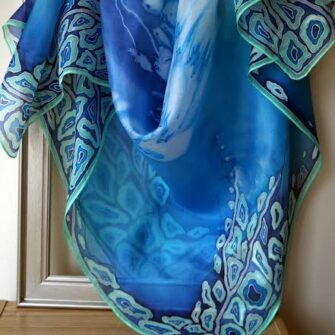 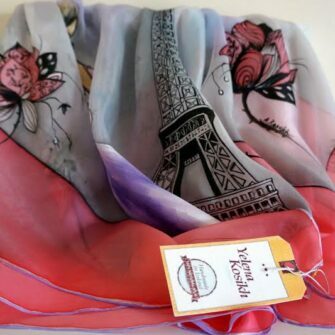 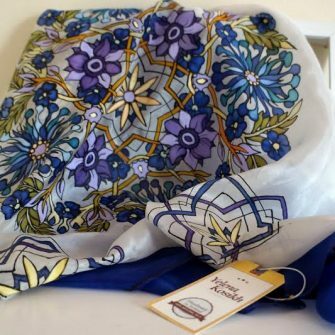 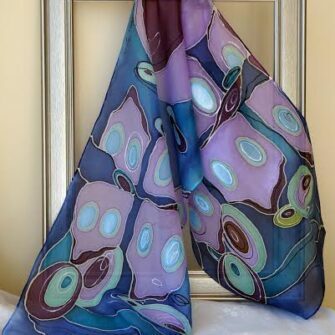 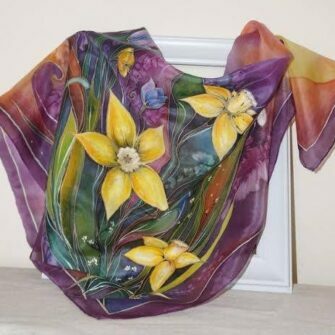 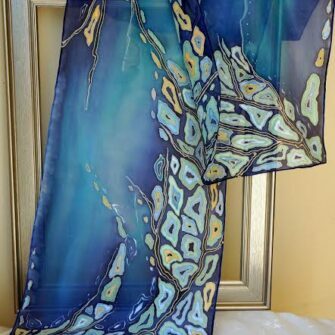 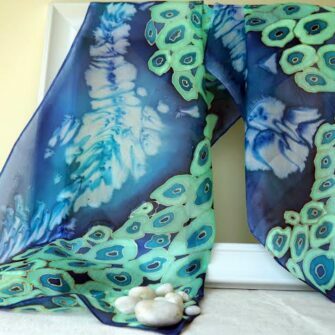 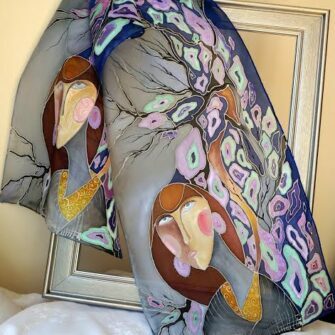 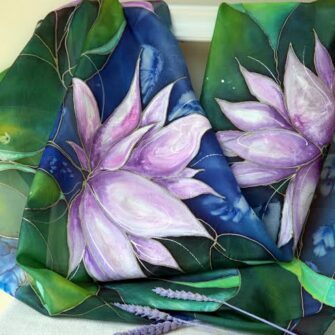 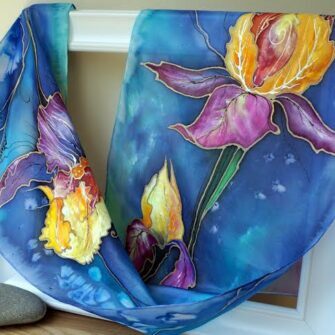 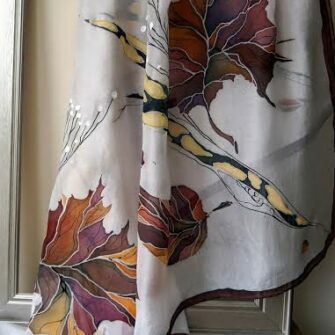 Her silk scarves are handpainted on the finest quality silk, with beautifully luxurious colour combinations and each one is totally unique! 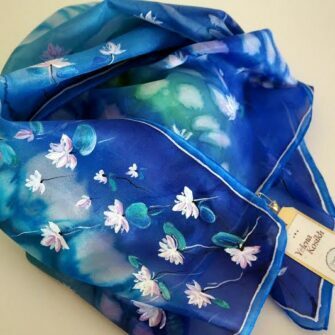 These products are made to order so please allow up to 5-7 working days before dispatching.